NOTE: The Hana has a wider toe box than conventional men's shoes. If your feet are particularly narrow, consider the Lena. Just make sure to adjust the size by 1.5 (for example, a men's 8 is the same length as a women's 9.5). Lightweight casual comfort that's ready for your next adventure. The Hana fits true to size, however if you are between sizes, we recommend choosing the larger size. The Hana is the answer. Natural FIT — a wide toe box lets your toes spread and relax. 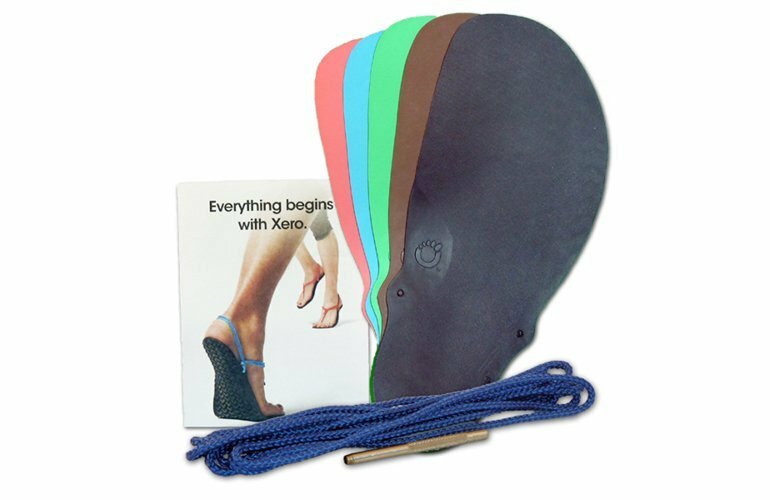 Plus the “XERO-drop” sole (non-elevated heel and low-to-the-ground) allows for proper posture, balance, and agility. Natural FUNCTION — the Hana is flexible enough to let your feet bend, move, and flex the way, well, that feet are supposed to. Plus, they’re so lightweight, you’ll barely know you have them on. A men’s 9 is only 8 ounces each. Vegan-friendly materials — the Hana’s upper is canvas, the lining and external accents are microfiber. It washes easily with soap and water. Huarache-inspired design — the heel/instep strap is not only eye-catching but functional. Plus, Hana now has a new, “Rain-Friendly” upper. BTW, “Rain-Friendly” isn’t the same as “waterproof.” Fully water-proof shoes have a technical liner, sealed seams, and a much higher price. By pre-treated the Hana with a water-resistant coating, you get an extra layer of protection against light splashing right out of the box. As with all treatments of this type, it will wear off over time, so we recommend re-treating as you would other water sensitive footwear regularly depending on use. NOTE: The Hana has a wider toe box than conventional men’s shoes. If your feet are particularly narrow, consider the Lena. Just make sure to adjust the size by 1.5 (for example, a men’s 8 is the same length as a women’s 9.5). What can I do in the Hana? Practically anything. 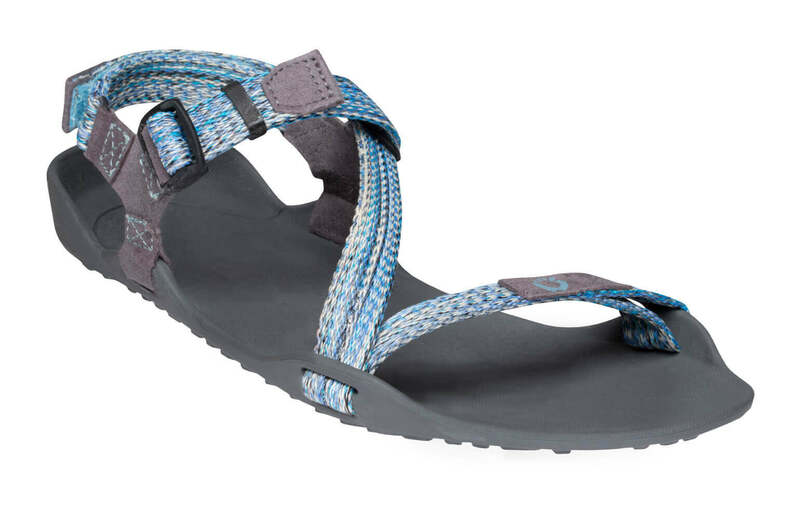 Though the Hana is designed as a casual shoe, it’s certainly capable of much more than just hanging out. We’ve had people do all kinds of outrageous activities in them so far, but it’s up to your best judgment what you believe they can handle. How do I care for my Hanas? You will be able to wash them with a mild soap and water mixture. The canvas is quite durable, and should come clean easily with a little scrubbing. DO NOT place your Hana’s in the dryer when you are finished cleaning, let them air dry. How do I find my Hana size? We have sizing instructions at the bottom of the product description for the Hana. The Hana fits “true-to-size” or a TINY bit small. So you’ll probably be okay selecting your “usual” shoe size. If you think you’re “between sizes,” go up a 1/2 size. Also, the Hana is wider than conventional shoes. The canvas upper can stretch to become a bit wider. Sizing for a shoe is different than a sandal, so if you own one of our sandals, that doesn’t mean you’ll pick the same size in the Hana. If your foot is really narrow, you may want to check out the Lena. Why do my Hanas suddenly feel looser? The canvas upper on the Hana can stretch a bit. Most people find this makes them even more comfortable. The huarache-inspired lacing should hold nicely around your midfoot to let your toes be more free. No, the Hana is a canvas shoe, and will absorb any water it encounters. That being said, they are canvas and should dry relatively quickly when you take them off. To clean your Hana shoes, hand wash with warm water, mild soap and allow them to air dry. We do not recommend putting the Hana in the washing machine or dryer. 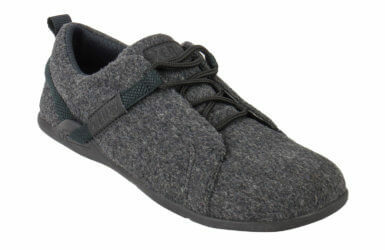 Best shoes, my second pair, larger for winter socks, wearable without laces! I can't praise Xero Shoes enough. I had a friend recommend them, lauding them for their style and comfort. I decided to buy a pair, and they overdelivered. These shoes just feel right. I'll be buying another pair! I've been wearing these for a couple months and they have quickly become my regular shoe. For what they are, I can't really find anything negative to say about them. 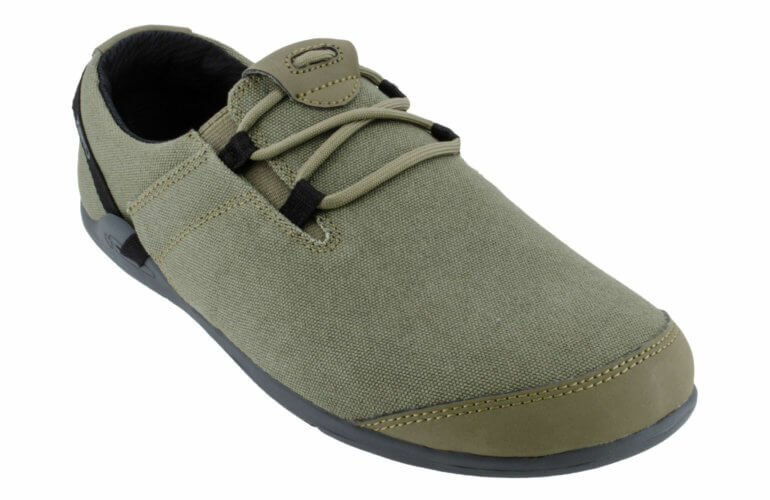 The are comfortable for casual use as well as long strolls through town. They've been very handy for my lifestyle since I can easily slip them on and off when getting into hiking or climbing shoes but yet they're still secure without lacing. They're pretty breathable as well, which is nice on long van rides or days in the office. I haven't put them through any serious snow, rain or terrain, since I don't think they're intended for that, but they have been fine in light rains and short hikes. This is my first time trying a minimalist shoe and so far I’m very pleased. Well constructed and comfortable. Unfortunately for me, the shoe turned out smaller than expected. Your support team was helpful in arranging the return to Australia instead of to US where shoes were ordered from (bought from US instead of AU as AU store did not have the half size increment) So at the moment, still waiting for return but the experience has been positive so far. Look and quality excellent, but I couldn't get them on. I have ALS and can put my Toms on by myself, but couldn't get these on even with assistance. Hi Hank, we are sorry to hear the Hanas did not work out for you! You may want to consider exchanging your Hanas for a pair of Boatys. They are currently the only "slip on" style that we manufacture. Hopefully that helps! I will only be buying shoes from Xero from here on out. I took the sole out and my posture has noticeably improved. They are the most natural feeling shoe I’ve ever owned and are socially acceptable. Really enjoying options I can wear in a casual work environment where I need something less athletic than my Prios. Having to get used to how high the Hana sits on the ankle, but love the light shoe & roomy toebox! I went outside for the first time wearing these shoes and I honestly thought that I had forgotten to put anything on my feet. Feels great.